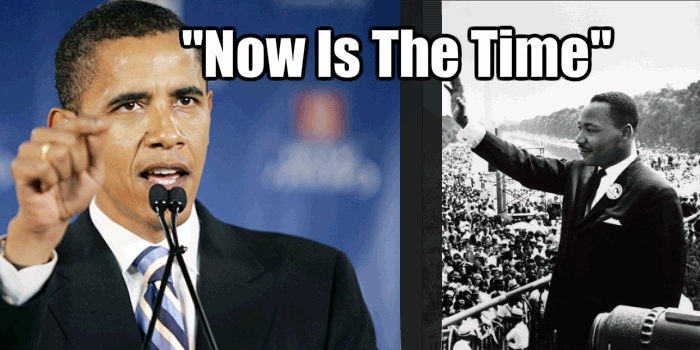 “Now is the time”, one of the most resonant phrases from Dr. Martin Luther King’s Lincoln Memorial speech of August 1963 (“I have a Dream”) became a core part of President Obama’s rhetorical armoury, particularly in Congress. In the original speech, on August 28th 1963 in Washington, Dr. King used the phrase, “Now is the time”, three times in four consecutive sentences near the beginning of his landmark civil rights speech. President Obama used the same phrase, “Now is the time”, in his “Now is the season for change” healthcare speech to Congress on September 9th 2009. He managed to repeat the phrase twice in identical consecutive sentences. So, it’s not quite the same use of repetition as Dr. King, but the effect on his audience was obvious. In his major speech to the joint Houses of Congress on 24th February he used the phrase twice in consecutive sentences. No coincidence there. All the meaning, symbolism and resonance of the Civil Rights movement is captured in this phrase, “Now is the time”, when it’s re-used by the President. You can find out more repetition tips with our series of public speaking tips. 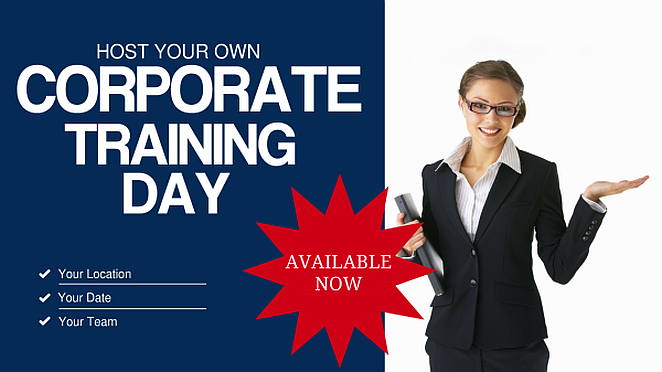 Or, alternatively you can organise a corporate public speaking training course for your team. Or, perhaps you can join one of our public training courses, held off-site at specialist training centres.